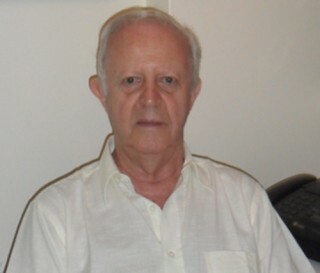 Natalio Fejerman, leading Argentine child neurologist and epileptologist, died on Thursday, March 29, after a short sickbed. He was 84 years old. Natalio Fejerman was born in Buenos Aires on November 8th, 1933. He earned his medical degree from Medical School in Buenos Aires in 1957 and started his professional training at the Children's Hospital Ricardo Gutierrez in Buenos Aires and later at Boston Children's Hospital under Prof. Cesare Lombroso. He was the head of the Department of Neurology at the General Children's Hospital Pedro de Elizalde in Buenos Aires form 1980 to 1987 and from 1987 until his retirement at the National Pediatric Hospital Garrahan, also in Buenos Aires. He was a pioneer in pediatric neurology in Argentina and Latin America, introducing different new as well as older, forgotten, treatments, such as the ketogenic diet. His extraordinary knowledge on childhood epilepsy was of importance not only for Latin America but for the world. Both nationally and internationally, Dr. Fejerman contributed to organizational work. Among other positions, he was the president of the Argentine League against Epilepsy for two terms and vice-president of the International Child Neurology Association (ICNA) for three terms. He was also elected to various committees of the International League Against Epilepsy (ILAE), such as the Committee on Classification of Epilepsy. In 1995, in recognition of his work, he received the Ambassador Award for Epilepsy, which is conferred together by the ILAE and the International Bureau for Epilepsy for outstanding activities in the field of epilepsy. He was on the ILAE Executive Committee for 8 years, serving two terms, as vice-president 1997-2001 and as secretary general 2001-2005. In 1992 he organized the 6th International ICNA Congress and in 2001 the 24th International Epilepsy Congress in Buenos Aires. He published more than 150 scientific papers in international journals, contributed many chapters to international textbooks on epilepsy, and published many books on epilepsy and child neurology. His book on pediatric neurology is still the main textbook used in Argentina and in other Spanish-speaking countries. Lastly, and maybe most importantly, Natalio was an extraordinary mentor. He taught generations of Argentine neurologists in child neurology as well as epilepsy. Over the last years, coming to our grand rounds, he continued to inspire even the youngest of us. He will be deeply missed by his many trainees, colleagues and friends.